Beverley Wise Stokes, 92, passed away peacefully Tuesday, June 12, 2018 at Tahoe Pacific Hospital in Reno, Nevada after a short illness. Beverley was born Sept. 10, 1925 to Harry and Gladys Paplow in Oakland, California, and was a life-long resident of California. She graduated from Oakland Tech High School at age 16. A year later, during the war, she worked for the U.S. Weather Bureau at the King City airport where she met her future husband, John Wise. In 1957, they, along with their two young daughters, Susan and Karen, moved to Susanville. Beverley graduated from Chico State in 1968 and began her teaching career at Herlong High School where she taught English, French and math. 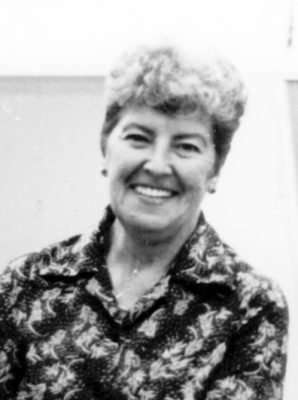 She taught there for 1½ years before continuing her career at Lassen High, teaching biology, anatomy, physiology and math. For 10 of those years she served as chair of the math and science department. After her retirement, she continued to work as a substitute teacher. She married Orval V. Stokes in November 2001, and they continued to reside in Susanville until her death. She had a great appreciation for the outdoors. She loved to camp, hunt and fish. She was a member of the Rebekah’s in Salinas, a Camp Fire Girls leader, and a 50-year member of Beta Sigma Phi and the Monticola Club of Susanville. During her life, she was a member of the Good Shepherd Episcopal Church, practiced Catholicism, and later joined the LDS church. Beverley is preceded in death by her parents; husband, John; and grandson, Erik. She is survived by Orval; her daughters; grandchildren, Erin, Ian, Ross and Matt and five great-grandchildren. She now rests with God. Her life was celebrated by her beloved husband, family and friends at 2 p.m. Saturday, June 30 at the Senior Center, 1700 Sunkist Drive, Susanville. Light refreshments followed. Long-term Susanville resident Edwin T. Young Sr. passed from his life peacefully with his family by his side, Thursday, June 14, 2018, in Reno Nevada. Edwin was born in Fashion, Georgia to Roy and Callie Young on Sept. 29, 1925. Edwin served his country honorably as a member of the U.S. Navy in WW II as part of the Invasion of Sicily in 1943 and the Normandy Invasion in 1944. Edwin married Drusilla Strickland in Georgia on Aug. 11, 1943, and settled in Milford, California in 1947. After the death of his first wife, Edwin moved his family to Susanville, in 1962, and married Mary Lou Marsters on Feb. 2, 1963. Edwin raised seven children, four boys and three girls. Edwin was employed with Sierra Army Deport in Herlong, California until his retirement in 1974. He was an avid outdoors man and loved fishing, hunting, and camping. Edwin spent much of his retirement at Eagle Lake. He was preceded in death by two children, Edwin T. Young Jr. and Phyllis Lowery. He is survived by his wife of 55 years, Mary Lou Young, of Susanville; his brother, Weldon, of Herlong; sons, Terry, of Fouke, Arizona, Roger, of Red Springs, North Carolina, and Kendal, of Placerville, California; daughters, Patty Anderson, of Yuma, Arizona, and Cary Cole, of Baytown, Texas; 12 grandchildren; numerous great grandchildren; and nieces and nephews. Charles Henry Ray, Jr. born, March 13, 1936 in San Francisco, California and died, June 22, 2018 in Culpeper, Virginia. Known to his friends as “Charlie” and his family and childhood friends as “Buddy.” Charlie was a tall drink of water at 6’5”. He had the most beautiful blue eyes and a mischievous twinkle to go with them. He was born and raised in San Francisco, California and joined the Army at 18 to see the world. His Army assignments took him to lots of interesting places, one of which was a six-year stint in Germany, where he met and married his wife, Renee, and where his three children were born. Germany and Europe were favorite destinations throughout his lifetime. He and Renee also went to Hawaii often, as they both loved the tropics. He retired after 20 years of military service and went on to work a few interesting jobs, including Del Monte Foods where he also retired, dabbling in local politics in the Susanville area, and working for the U.S. Forestry Service. He officially retired at 69, and he and Renee packed up their belongings and moved east to Virginia to be closer to their daughter, and their beloved Europe. Charlie is survived by his three children, Kim, Michael and David; three grandchildren, Yassir, Jennifer and Renate; seven great grandchildren, Ramir, Rayanne, Jacob, Lilliana, Reema, Rakan and Ivan. He and Renee will be interred at a National Cemetery in Virginia, with full military honors. Details to be distributed on an individual basis. In lieu of flowers, donations may be made in his name to any local Humane Society. Arrangements by Preddy Funeral Home of Orange, Virginia. 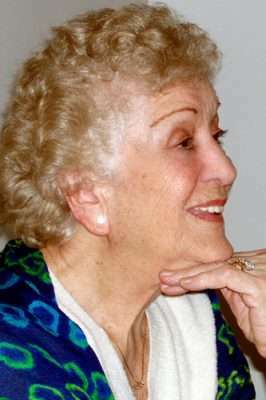 Margaret Rose Giamo ReBell, our family matriarch, entered heaven on the morning of June 26, 2018, in Susanville, California. Margaret was born in Cleveland, Ohio on Aug. 3, 1922 to Maria Bruno Giamo and Benedetto Giamo. There she grew to love and learn all the wonderful traditions of her Italian family. Margaret was a wonderful cook who took delight in serving her Italian dishes and baking Italian cookies to share with her family and neighbors. As a young woman, she worked as a waitress in Cleveland’s Chef Boyardee restaurant, owned by Chef Boyardee himself. While dining, he asked exclusively for “Margarita” to be his waitress. Margaret’s love for her family was the most cherished of all her gifts. She loved us all unconditionally, especially her husband, Raymond W. ReBell. Raymond, Marie and Ronald were born of their love. Together, they built a home in Warrensville Heights, Ohio, and lived there for many years before moving to Susanville to be near their boys and grandchildren. Many years were spent celebrating and enjoying each other’s company. Margaret and Raymond traveled throughout Europe with their daughter and son-in-law, Marie and Richard Evans. Margaret spoke fluent Italian and delighted in acting as their interpreter while touring through Italy. Margaret is preceded in death by her husband Raymond W. ReBell; parents, Maria and Benedetto Giamo; brothers, Nathan Giamo and Angelo Giamo; and sisters Angela Randazzo and Teresa Collova. Margaret is survived by her three children, Raymond O. (Rozanne) ReBell, of Quincy, Marie (Richard) Evans, of Naples, Florida, and Ronald (Susan) ReBell, of Susanville, California. Meisenheimer, and Lindsey Rae ReBell. Her surviving grandsons include Chad (Patti) Evans, Neil (Tammy) ReBell and Ryan (Ronni) ReBell. ReBell, Michaela ReBell, Zachary Miller, Nathan Miller, Megan Meisenheimer, Will Meisenheimer, Leila Evans, Roman Evans, Raymond C. ReBell, Nicolette ReBell and Madison Ray ReBell. A memorial service was held at 4 p.m. Saturday, June 30, 2018 at Waltons Colonial Mortuary in Susanville. In lieu of flowers, donations can be made to Lassen Nursing and Rehabilitation Resident Activity Fund, 2005 River St., Susanville, CA 96130 in Margaret’s memory. The family of Margaret wishes to extend our sincere graditude to the entire staff of Lassen Nursing. While she was a patient there, she received the most loving care imaginable. We are forever grateful for their patience, guidance and hearts of gold. Born on April 27, 1943 in Porterville, California, Doug passed away June 23 in Folsom, California. Beloved husband of Jodie Benson Priest, father of Angela Priest and Jason Priest; stepfather of Kevin Benson (Haley), Scott Benson (Shelbie) and Bradley Benson (Alli) and active grandfather to seven grandchildren. He is also survived by his brothers James Priest (Mary), Ken Priest, his sister Elizabeth Nicholson (Gabby) and numerous nieces and nephews. He deeply loved and thrived being involved with his family. Doug graduated from Lassen High School and CSU Chico (1967). He worked for the State of California, Department of Transportation in the Division of Highways, and the Aeronautics Division for six years before transferring to the Department of Water Resources in 1975. There he held a variety of top managerial positions including Chief of the Office of Budget and Program Evaluation, running the State Emergency Task Force during the floods of 1996 and the State Drought Center in early 2000. 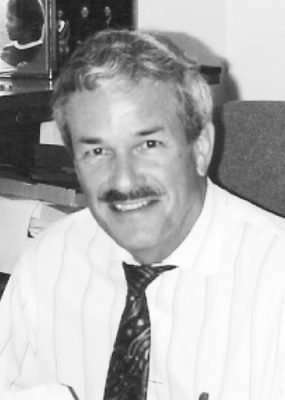 For several years he was the Executive Officer of the California Water Commission, until he retired in 2003. In retirement he was a member of SIRS 93 and loved to play golf. 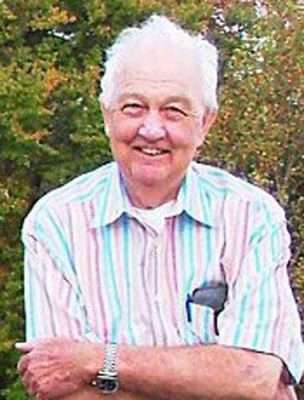 Ralph Arthur Hayes passed away in Susanville on June 27, 2018 at the home of his daughter and son-in-law. He was 92. Ralph was born on Jan. 20, 1926 in Torrance, California to James and Elizabeth Hayes. Ralph was a track star at Leuzinger High School in Torrance. He was also a veteran of World War II serving in the U.S. Navy. He was a radio technician and tail gunner in dive and torpedo bombers. At the age of 17, he married the love of his life, Thelma Eeles. They had 53 precious years together. After their children were grown, Ralph and Thelma spent many years traveling to many places and even lived in Canada for a couple of years. They finally settled in Trinity Center, California where they spent many years together. After Thelma passed away in 1996, Ralph moved to Susanville to be closer to family. He loved his little apartment at Lassen Manor and met many friends there over 20 years. He kept active and bowled for several years in Susanville and loved to gamble once in a while. It kept him well and happy in life. Ralph is survived by his four children, Dorothy Lokey (Dale) of Washington; Christine Brown (Tom) of Susanville; Jim Hayes (Becky) of Sonora and Mike Hayes (Rose) of Washington, along with one brother-in-law and several nieces and nephews. We will miss him dearly and will continue our love for him until we all meet again. No services will be held per Ralph’s request. Donations may be made to Honey Lake Hospice in Ralph’s memory.